Russia and the UK have agreed to smooth over political differences in Russian-British relations as Prime Minister David Cameron visits Moscow officially for the first time. The last such visit by a British PM was six years ago. Cameron, accompanied by two dozen British businessmen, including oil giant BP's chief executive Bob Dudley and Royal Dutch Shell CEO Peter Voser, has met Russian president Dmitry Medvedev. 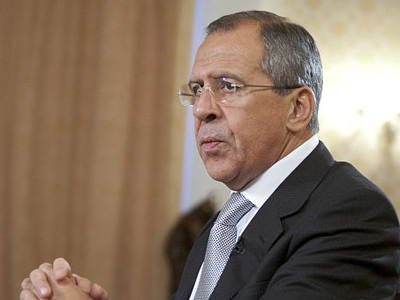 Both Russia and UK are seeking to revive worsened relations. The question of Lugovoy’s extradition to Britain – the main stumbling block is relations between countries – has become one of the expected questions at the press-conference. "If my memory serves me right, Article 61 of the Russian Constitution expressly provides that Russian citizens cannot be extradited or handed over to a foreign state for trial or investigation. It's never going to happen, no matter what happens," he affirmed. Britain does not plan to stop discussing the case, said British Prime Minister. He added that he is not in any way trying to conceal this fact. Ties between Russia and UK have worsened seriously after the poisoning death of a former Russian security agent in London in 2006. Moscow refuses to satisfy a long-standing request from the UK to extradite Andrey Lugovoy, suspected of involvement in the death a former KGB officer. Lugovoy has always denied involvement. Dmitry Medvedev and David Cameron have also discussed the situation in Syria – another issue of dispute for both sides. Russia wants talks in Syria and opposes sanctions which Britain supports. “On Syria we agreed the UN has a role to play to end of the violence and support the process of real reform and to continue discussions on the UN resolution,” Cameron said. Medvedev voiced Russia’s position saying the UN Security Council resolution on Syria should be tough, but should not “envision automatic imposition of sanctions on the country.”“There is definitely no need for more pressure now,” Medvedev said. Despite deep differences, both sides have common ground on which they can begin to rebuild. 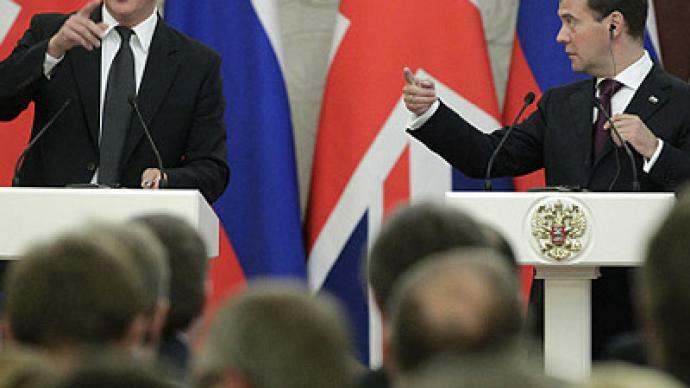 The British PM stated that the UK fully supports Russia’s accession bid to the World Trade Organization. Cameron believes it will promote business development between the two countries. Britain is one of the largest foreign direct investors in Russian economy. British investments in Russia reached US$40 billion by the end of 2010. 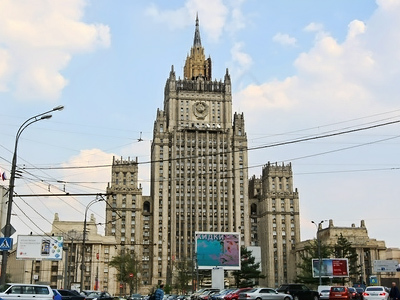 Seven contracts between British and Russian companies have been signed. Initially Cameron intended to seal new deals worth $340 million, which would create 500 new jobs in Britain. Co-operation in the technology sector has also been discussed. Britain contributes to Russia’s Skolkovo project, and Russia to Britain’s East London Technology Park. In addition to talks with President Dmitry Medvedev, the British PM has met his Russian counterpart Vladimir Putin. No British minister or cabinet minister has spoken with Putin directly in four years. Cameron's visit to Russia is the first by a British prime minister since Tony Blair visited St. Petersburg for a G8 summit in July 2006. Since becoming prime minister in May 2010, Cameron has met four times with Medvedev, who invited him for this week’s visit.